We are blessed to report another finished adoption! As of today, another St. Mary’s family is flying back from Warsaw after having completed their Polish adoption! They completed their bonding period. They went through the final court hearing. They enjoyed a reduced appeal period allowed by the Polish judge. They took off 10 days earlier than planned! What an awesome job our Polish partners are doing for our families! The picture above is a snapshot of our website. As you can see we were counting down till it was time for them to come home. The day has come! They are currently flying over the Atlantic with their son! 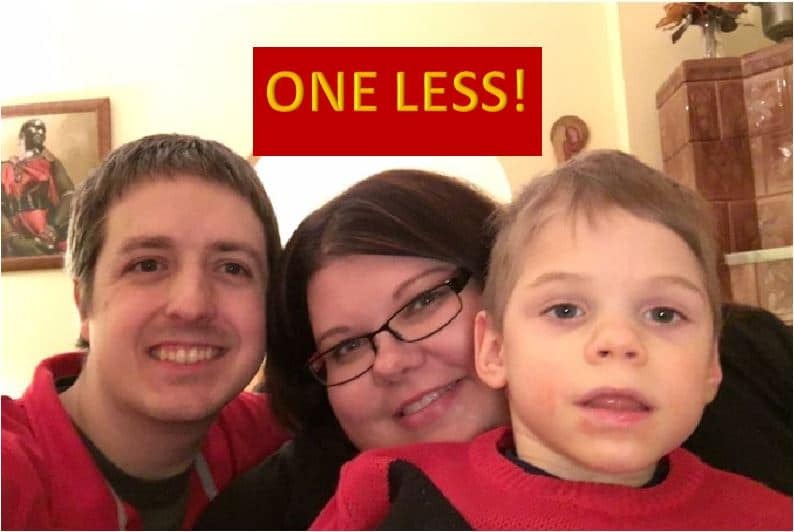 Today, January 29, 2016 there is ONE LESS orphan in the world! There is one more completed family! We are so thankful to have played but a tiny role in this family’s lives in helping them complete their Polish adoption.